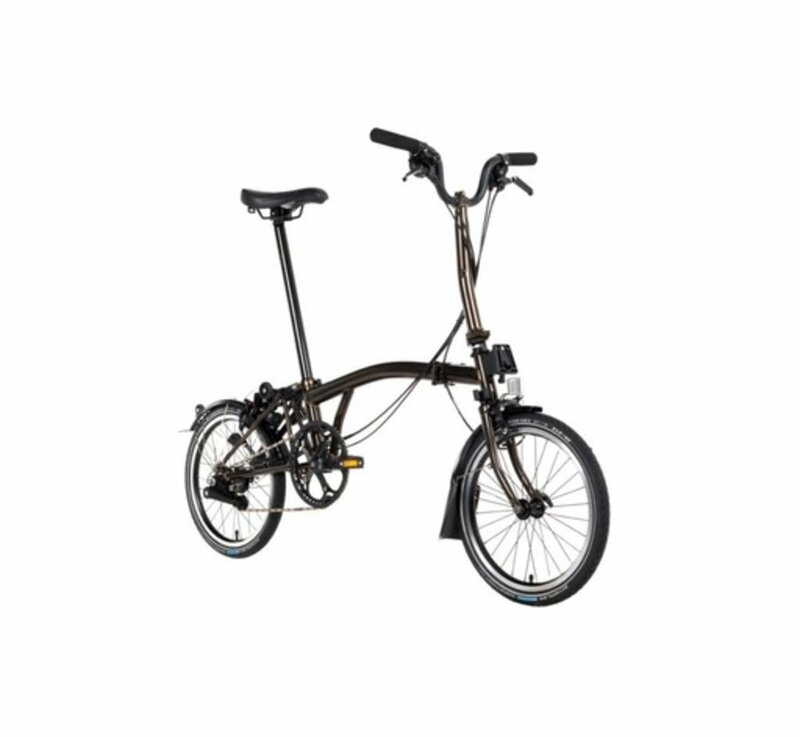 The Brompton H6R Black Edition with Raw Lacquer finish is equipped with H type handlebars, our most popular handlebar for taller riders seeking an upright ride. 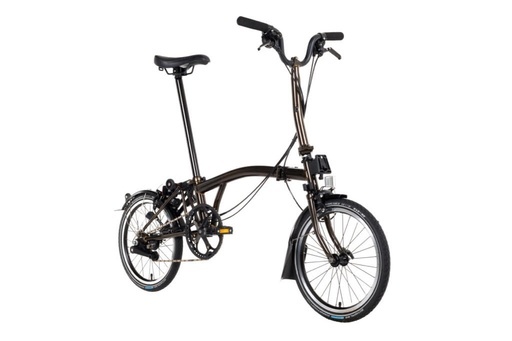 The Brompton H type handlebar offers the most upright riding position of the four handlebar types. The H bar looks a lot like the M bar, but the stem is nearly 2.5 inches taller and 13 mm further forward, making it a better fit for riders over 6’. The H bar grip height is 1072 mm or about 42 inches. 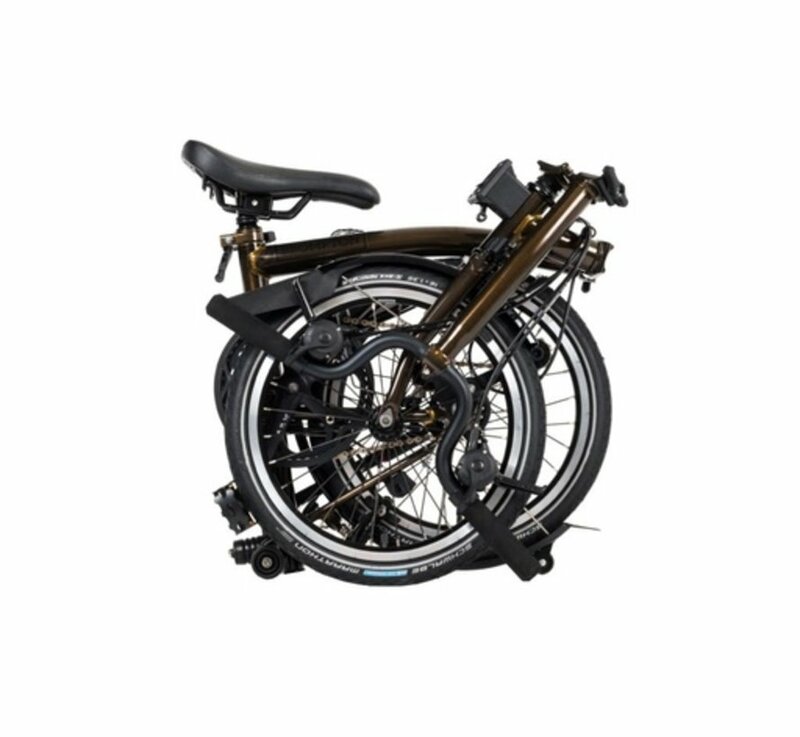 This 6-speed Brompton combines the Brompton Wide Range (BWR) 3-speed internal hub with a 2-speed derailleur system for six gearing options, ideal for longer rides and challenging hill climbs. The 6-speed has two shifters: A two speed shifter on the left, the same as the 2-speed bike, and a three speed shifter on the right, the same as the 3-speed bike. 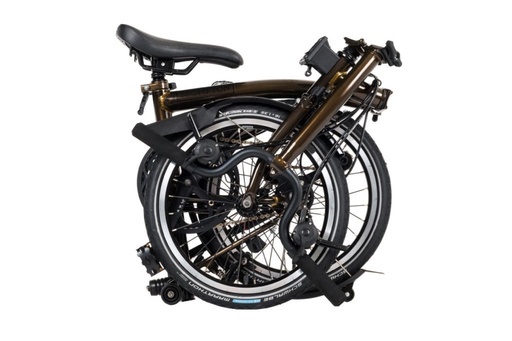 6-speed is the recommended gearing setup for commuting or touring on a Brompton. Opt for -12% for even lower hill climbing gears. The Brompton H6R Black Edition is equipped with mudguards and a rear rack.